Can The Beatles: Rock Band Save the Music Business? 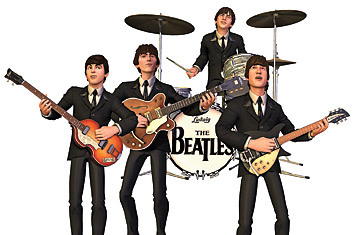 From left, Paul, George, Ringo and John never looked so good. In a 40th-floor studio above the MTV offices in Times Square, the Beatles were together again, playing '60s hits like "A Hard Day's Night" and "Day Tripper." It wasn't exactly that final rooftop 1969 gig at the Apple studios in London, and these weren't the original moptops. They were us  three generations of Beatles fans  sitting in for you and getting to be them.